Tatum’s Garden describes their mission as bringing a one-of-a-kind, shoulder-to-shoulder play experience for children, regardless of ability. They transformed an old parking lot into a huge playground that was envisioned and built by the community. 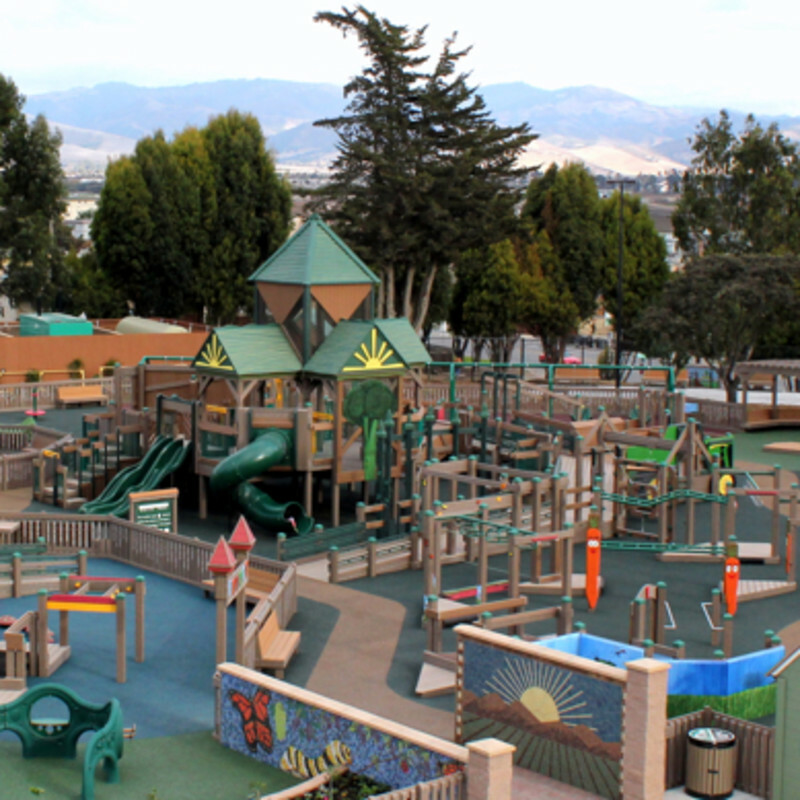 Reflecting the rich agricultural history of Salinas, California, the park features an agricultural theme. There is even a virtual vegetable garden in the playground. Tatum’s Garden includes a tot lot for small children, a quiet corner for anyone with sensory issues, music stations, as well as your typical swings, see-saws, slides, and climbers.